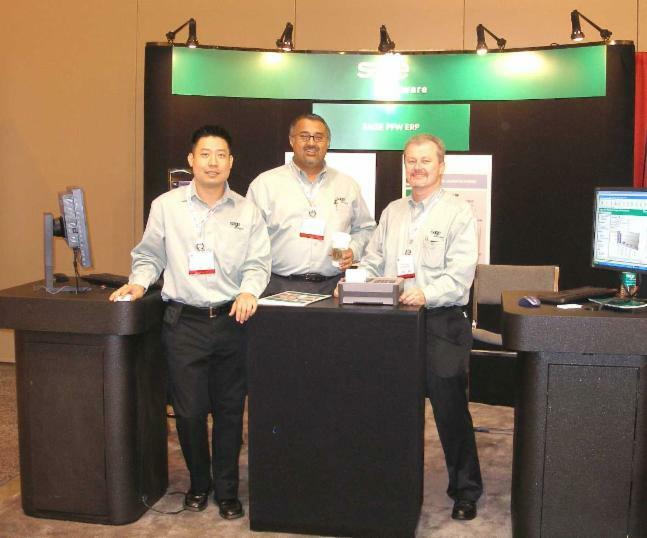 We aided Sage Software in their booth at the International Coatings Expo (ICE 2006) held in New Orleans from November 1 - 3, 2006. Peter Elias of PC & Associates is shown to the right (Daniel Oh of Sage Software is on the left and Kerry Mann of Mantralogix is in the middle). PC & Associates is a member of the ACA (American Coatings Association - formerly the Federation of Societies of Coating Technologies) since this is one of the main industry segments that we service.